The Carriage House has been purpose-built to provide a unique meeting space with the needs of the corporate and civic communities in mind. 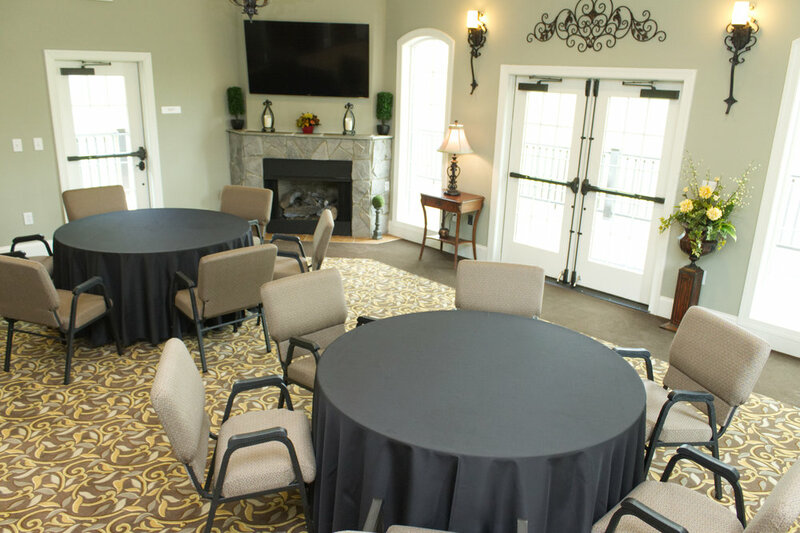 The character of this space provides a relaxed and comfortable atmosphere for meetings, seminars, training sessions, honoring functions, or awards events. Comfortably gather for an intimate yet impressive social event for clients, industry partners, or employees with a 40-person capacity in a place that feels like home. Overlooking more than 180° of the Catawba River and surrounded by nature, this venue is a real retreat right in the northernmost point of York County. Our location is convenient to all of York, Lancaster, Chester, Mecklenburg, Gaston, and surrounding counties. Amenities include a cozy gas log fireplace, seven windows featuring calming views, and an in-house audio/video system. The a/v system features indoor and rear deck speakers, a 65" flat panel monitor, and connections for VGA and HDMI video and 1/8" audio.